Granny's Holiday Toppers for 18-inch dolls. 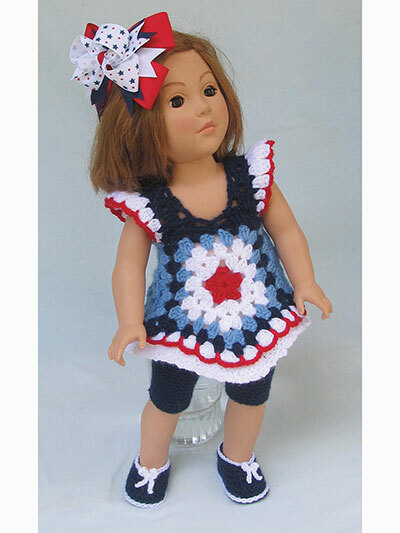 Make 4th of July, Halloween, Christmas, Valentine’s Day and Easter extra special for your special little girl. Crocheted using baby- #1 and sport- #2 weight yarn with granny's favorite pattern. lovely pattern. 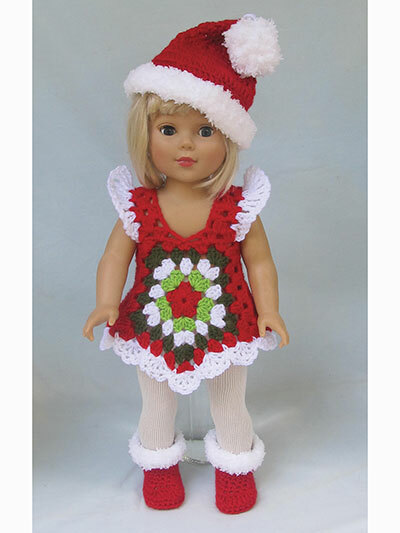 I bought an 18 doll for my granddaughter for Christmas so of course started with the Christmas outfit. don't have time right now but will definitely work up the others. 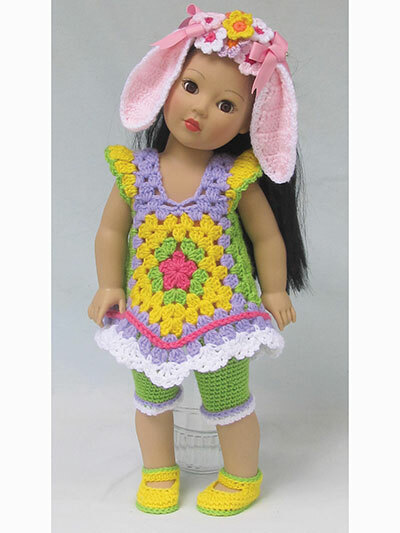 I make doll clothes for 18 inch size dolls and sell them on the Internet. This pattern is easy and works up in one night while I am watching TV. I have lots of odds and ins of yarn and this is a good way to use them up. I love that I can design and use different colors together with this pattern. It is fun to see my creations come to life. These are soo cute!! I did the witch's costume and my grand daughter will love it. Very nice! Very cute and easy to follow pattern! You can choose to make it so different by the color combinations or even crochet it in a solid color. I look forward to making quite a few! 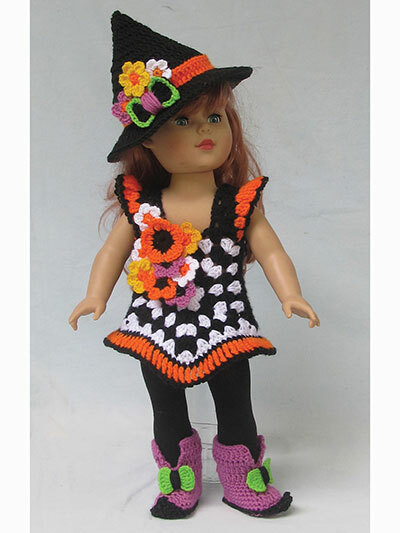 I love this patterns and most of the dolls I have not had enough time to make one but I am sure that who ever I make it for will love it. 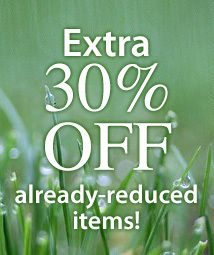 I would like it if there were more.